Do you have teeth that are misaligned, discolored, cracked, or have uneven surfaces? Would you like that “Hollywood” smile? Some of these situations can be resolved with one simple dental procedure. Fort Myers dentist Drs. Bass and Donovan Dentistry are dedicated to providing the residents of Ft. Myers and surrounding communities with treatment of veneers. Veneers are used to cover up unsightly tooth surfaces. 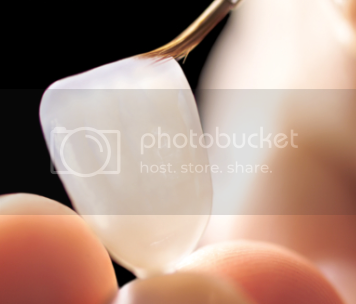 They are fabricated generally from a ceramic material and bonded to the surface of teeth. They provide the benefit of natural healthy looking teeth. They are utilized to cover one tooth or the entire visible surfaces of the teeth. The two are often confused with each other. There are situations where veneers are indicated over the treatment provided by crowns. Similar to crowns, veneers can mask defects that are not pleasing. The most significant difference between the two is that more of the natural tooth surface needs to be removed in order to crown a tooth. Veneers are extremely thin and often only are placed on the surface of the tooth that is visible in the mouth. Veneers do not, however, provide the support that a crown provides. This often limits the veneer treatment to one only for esthetics. The procedure begins with a thorough consultation and a treatment plan. This allows you and the dentist to decide on a successful outcome. Since this is a cosmetic dental procedure, your involvement is critical to ensure long term happiness. Next the teeth are reduced slightly to accommodate the thickness of the shell. Similar to crowns, the dentist then takes an impression of the reduced area and the impression is sent to the lab. They in turn will create the permanent veneer for the dentist to bond to the prepared tooth. Often a temporary veneer is placed over the prepped tooth so ensure that you are content with the esthetics until the permanent veneer is placed.